ATLANTA (AP) — Georgia has a looming showdown against the nation’s top-ranked team, a game that seems destined to determine if the No. 5 Bulldogs get another shot at the College Football Playoff. The state rivals close out the regular season Saturday between the hedges, where Georgia (10-1) is a 17-point favorite to clear its final hurdle before the Dec. 1 Southeastern Conference championship game against No. 1 Alabama. Neither has much of an arm, and the Yellow Jackets have largely abandoned the passing game during their current winning streak. 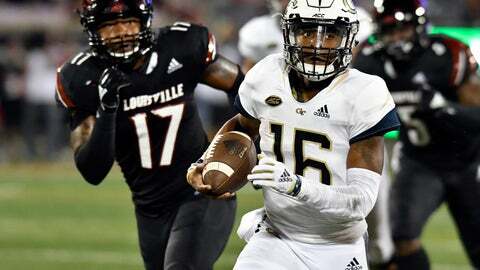 But that part of the offense can’t be totally ignored; Georgia Tech has averaged nearly 36 yards on its six completions in that span.